New custom designed home builders - Completed Cessnock Home. At Freedom Homes we are proud of the custom designed homes we build and thought you might be interested in taking a look at this stunning modern country style home that was constructed about a year ago in the outer Cessnock region. The client knew exactly the look that they were after and had been busy collecting images of all the things they loved which was wonderful. Our team were able to use these images as a reference point throughout the project to ensure the home owners achieved their dream home. 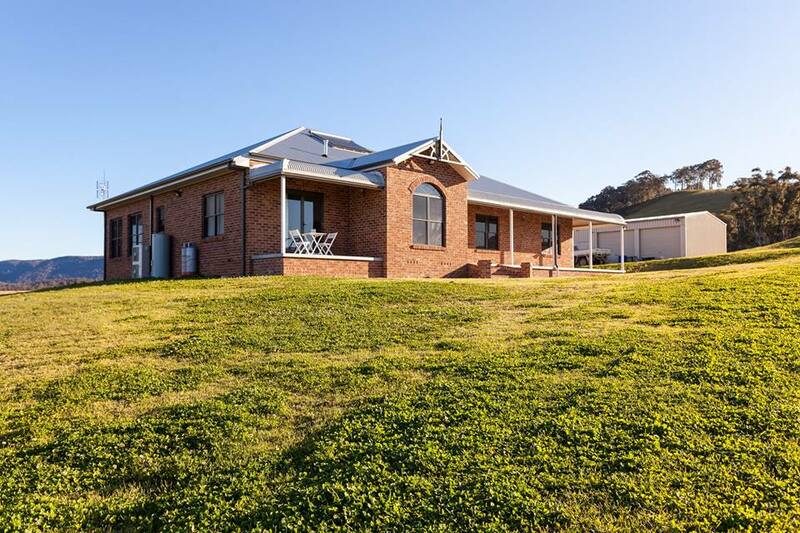 This country style home sits perfectly in its surrounds and will never date. The home is constructed using our steel framing system with colonial style feature face bricks and an iron roof. Large windows throughout the home allow the home owners to maximise views of the beautiful surrounding country side. The french provincial styled kitchen with stone benchtops and custom cabinetry is just gorgeous and we think you will agree that it is a standout feature of the interior of the home. It was important to capture the outside views wherever possible and the kitchen window was positioned with this in mind. The home owners choice of lighting positioned above the kitchen island bench adds a special touch and really completes the room. 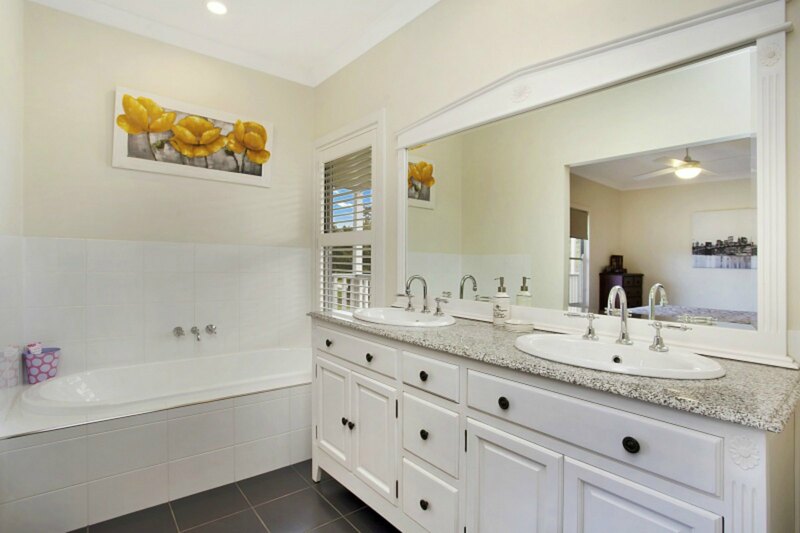 The laundry space is a great size with an abundance of built in cabinetry and a large benchtop area. This room is very organised and well thought out. The room includes additional linen space and overhead racks and shelving. The family bathroom is also generous with a freestanding tub and the feature tiles work beautifully above the vanity and on the wall behind the tub. The high ceilings throughout the home make the rooms feel even more spacious. Freedom Homes build custom designed homes throughout the Hunter Valley region. Our speciality is helping home owners achieve their dream homes. Our point of difference is that we have a dedicated team who can help you through the entire building process, from the initial design stages right through to hand over. If you are considering building your dream home, start collecting ideas and images and when you have found the perfect block give me a call on 0409 648 400 and we can start making your dream a reality.